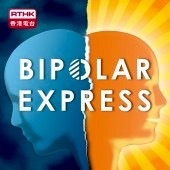 There IS a Bipolar Support Group right here in Hong Kong! A gang of us meet in Sai Kung on the first Monday of every month at 7.30pm. See you there - no excuses now!! !